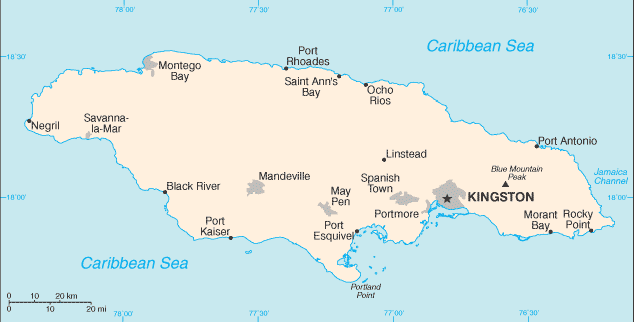 Jamaica gained full independence within the British Commonwealth in 1962. Deteriorating economic conditions during the 1970s led to recurrent violence and a dropoff in tourism. Elections in 1980 saw the democratic socialists voted out of office. Subsequent governments have been open market oriented. Political violence marred elections during the 1990s. Key sectors in this island economy are bauxite (alumina and bauxite account for more than half of exports) and tourism. Since assuming office in 1992, Prime Minister PATTERSON has eliminated most price controls, streamlined tax schedules, and privatized government enterprises. Continued tight monetary and fiscal policies have helped slow inflation - although inflationary pressures are mounting - and stabilize the exchange rate, but have resulted in the slowdown of economic growth (moving from 1.5% in 1992 to 0.5% in 1995). In 1996, GDP showed negative growth (-1.4%) and remained negative through 1999. Serious problems include: high interest rates; increased foreign competition; the weak financial condition of business in general resulting in receiverships or closures and downsizings of companies; the shift in investment portfolios to non-productive, short-term high yield instruments; a pressured, sometimes sliding, exchange rate; a widening merchandise trade deficit; and a growing internal debt for government bailouts to various ailing sectors of the economy, particularly the financial sector. Depressed economic conditions in 1999-2000 led to increased civil unrest, including a mounting crime rate. Jamaica's medium-term prospects will depend upon encouraging investment in the productive sectors, maintaining a competitive exchange rate, stabilizing the labor environment, selling off reacquired firms, and implementing proper fiscal and monetary policies. good body, and some very interesting mild nutty flavors with interesting herbal falvors that remind me sometimes of chamomile, sometimes of spice. This has a lot of body, and I am suprised that it can take a real Full City roast; a few pops into 2nd crack. No darker though..
Well ... I have to eat my words because here is a really nice lot of coffee from the Mavis Bank farms! True Blue Mountain is an unusual coffee; it has good body, and some very interesting mild nutty flavors with interesting herbal falvors that remind me sometimes of chamomile, sometimes of spice. 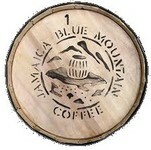 There are only 4 trade names that can legally call their product Blue Mountain coffee: Wallenford, Mavis Bank, Old Tavern and one other I can never remember. So beware of imposters. Its fun to roast Blue Mountain and find out what this highly touted coffee is all about when it is fresh ... and why it ranks among the better Mexican coffees in terms of cup quality. But remember, this is an "island profile" coffee; smooth, mild, balanced ...and oh so so so expensive. Not huge fireworks here... 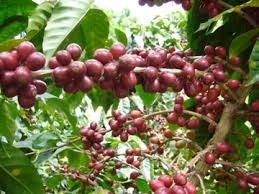 I think this lot of Jamaican is the best I have ever had in terms of up quality and preparation of the green coffee. 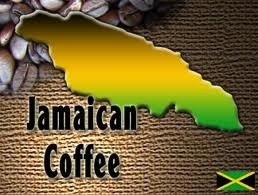 Personally, I will not consider offering any other Jamaican coffee, especially Wallenford. I have seen too many insect-damaged coffees from that source, and cabbage-like flavors in the cupping samples. Island coffee profile --mild but with depth and complexity.